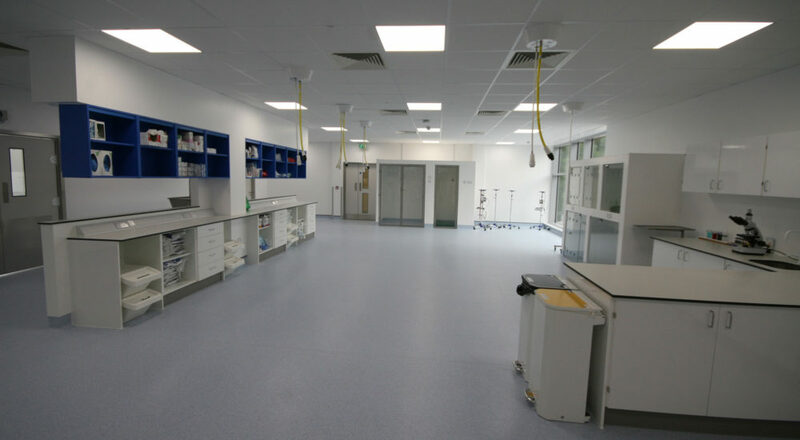 We were delighted to be approached by Professors Noel Fitzpatrick and Stuart Carmichael to help them realise their dream in creating this landmark building for veterinary medicine, now known as the FROST (Fitzpatrick Referrals Oncology and Soft Tissue) Centre in Guildford. 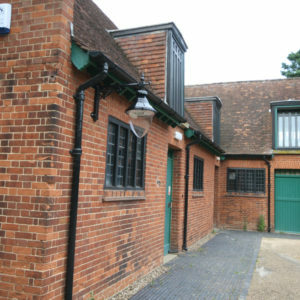 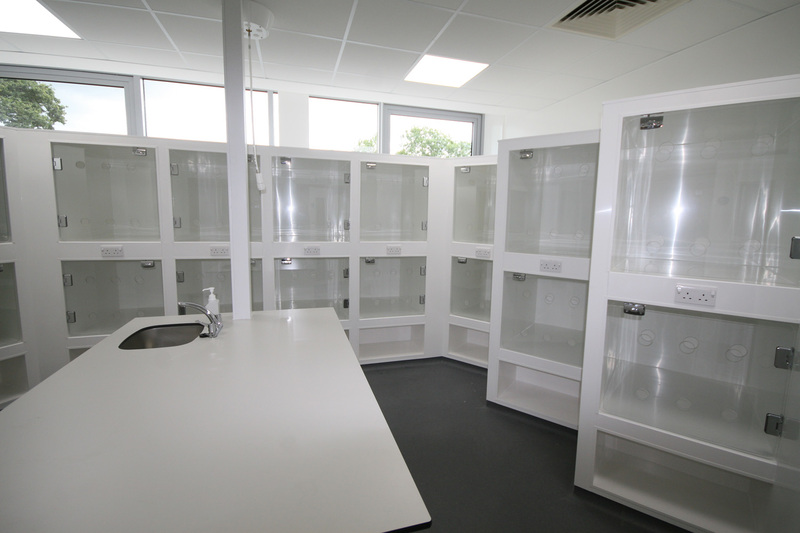 The deal was achieved with the University of Surrey providing a bespoke building on their Guildford University campus. 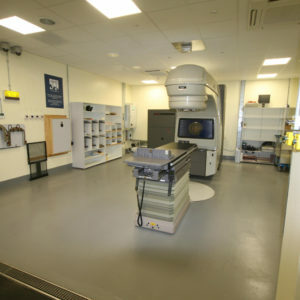 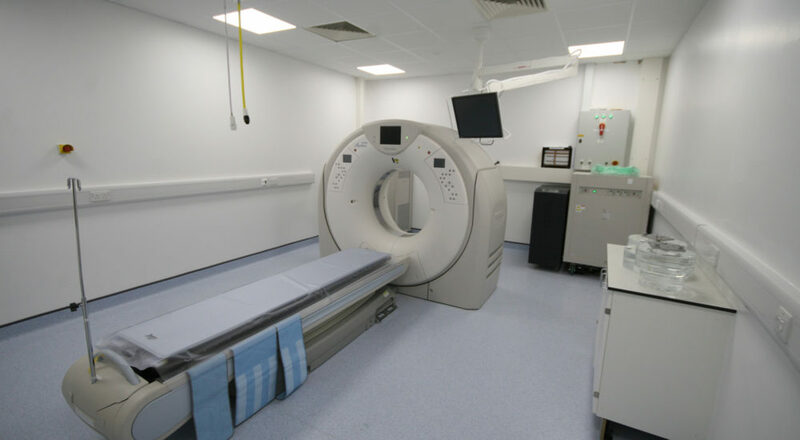 This gave Fitzpatrick Referrals a blank canvas to be able to layout their new cancer therapy centre and to fit it out with all of the necessary equipment but more importantly, to use the best finishes and design available. 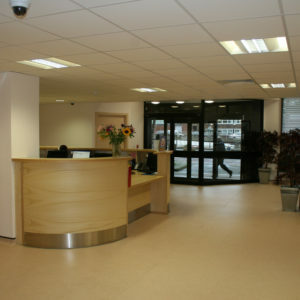 Our role within the project was to work with the client and project manage the fit-out stage of the construction. 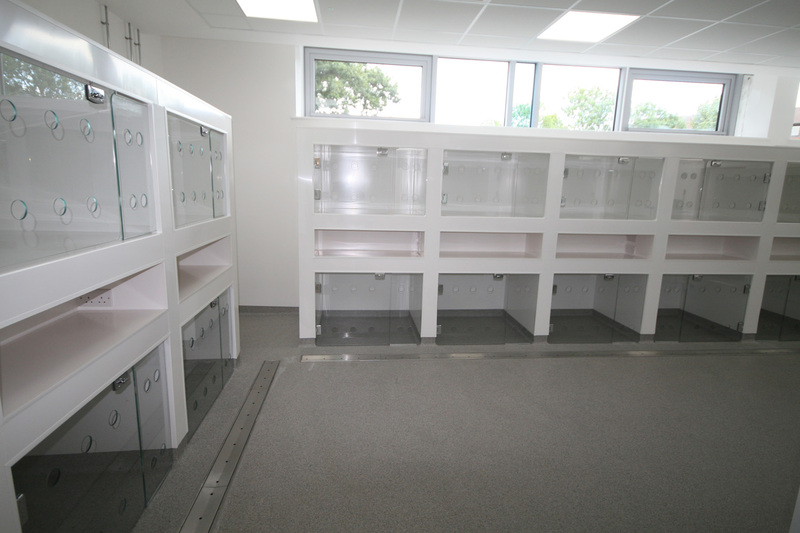 We worked alongside the contractors to ensure that the correct materials and finishes were installed to the highest standard. 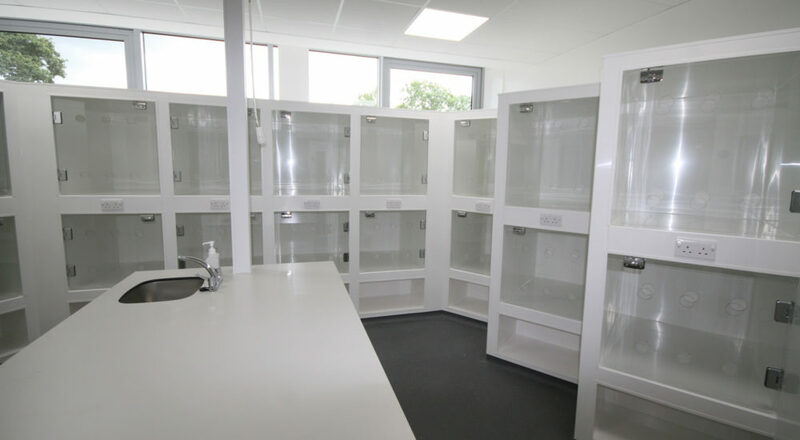 As the development slowly came together during 2015 there were many important decisions to be made in regard to the installation of materials and finishes. 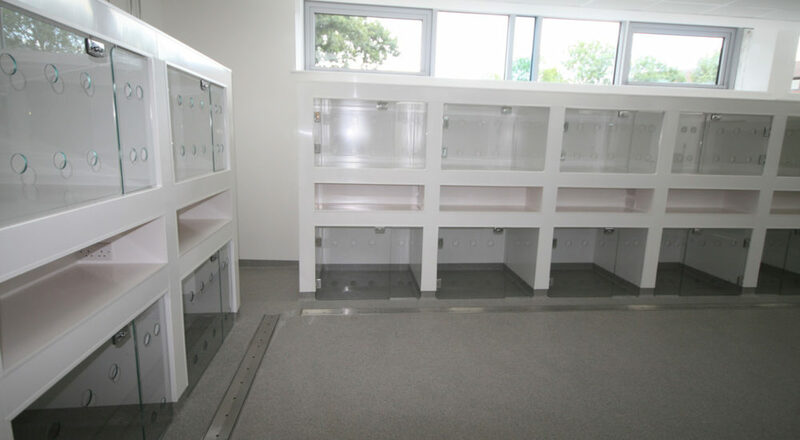 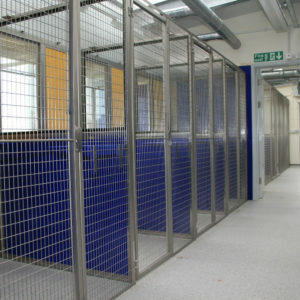 These included making sure that the resin floor in the kennel areas would not crack (as so often resin floors do); ensuring all of the anti-bacterial wall coverings in theatres, kennels and the cattery were joined to a very high standard, and positioning all of the services such as power sockets, IT outlets and piped gasses in the correct places. 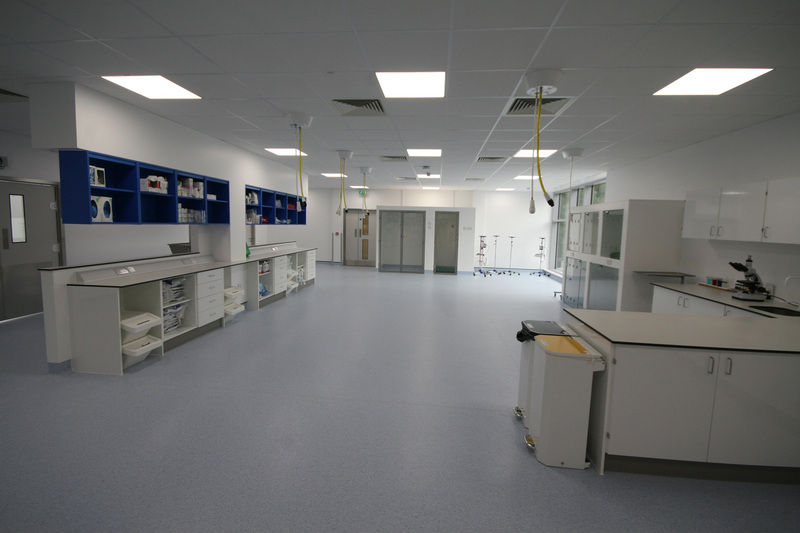 All of the efforts put into the decision making in the early stages resulted in an exceptionally high overall finish to the hospital. 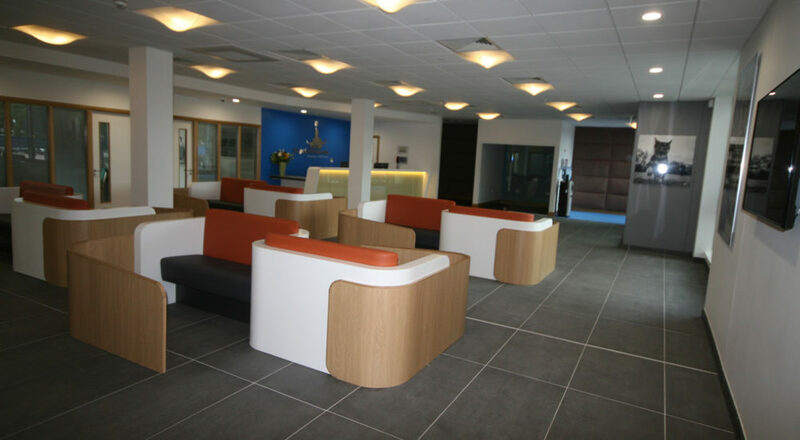 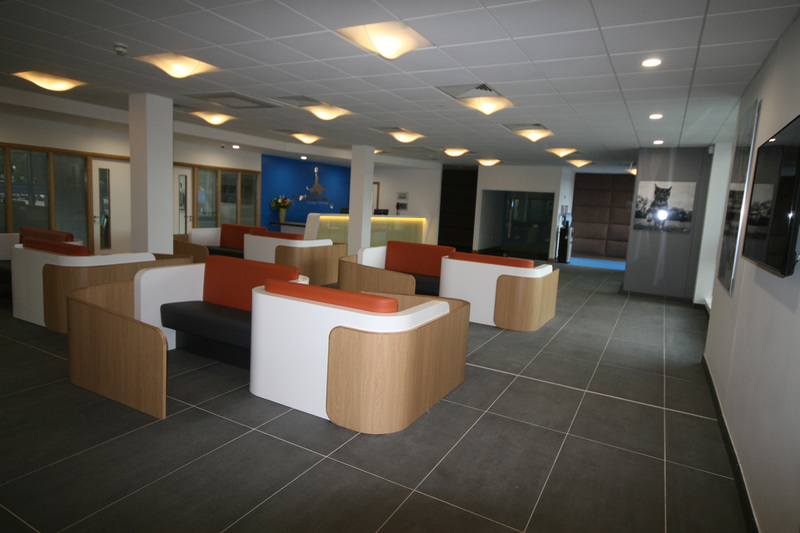 Professor Stuart Carmichael’s vision of creating a pleasant experience for their clients, the tasteful reception, bespoke seating design and calming and ‘fear-free’ colours was achieved in the superb reception area. 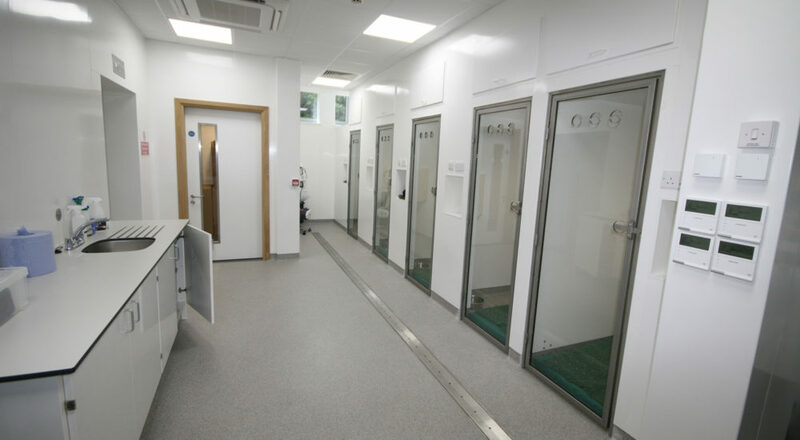 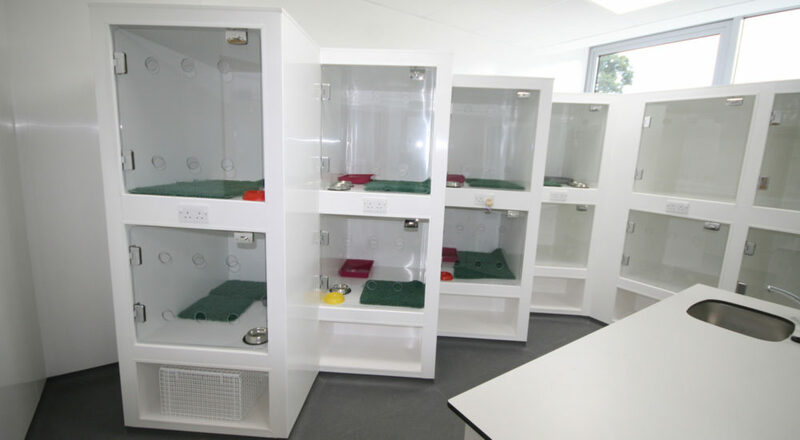 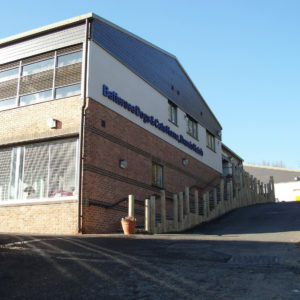 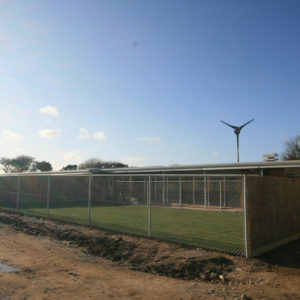 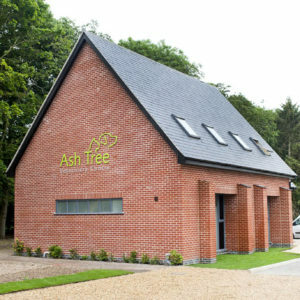 Working closely with the client, and consulting with their specialist nurses, we designed the bespoke dog kennels and the ICC Gold Standard Cattery. 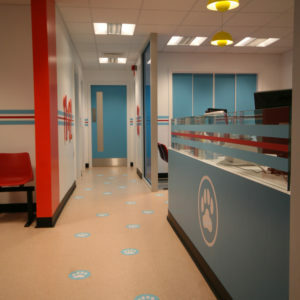 The main goal for these designs was to reduce anxiety and stress for the patients and to help aid their recovery. 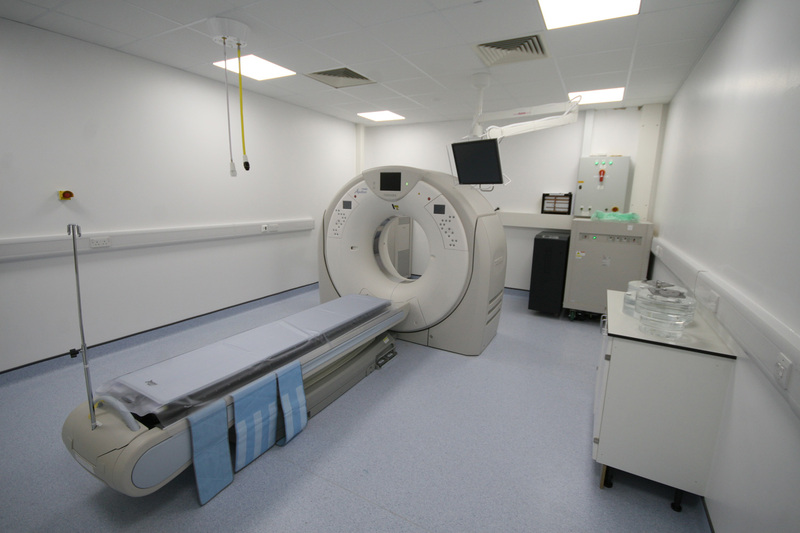 During the construction, we constantly liaised with the contractor and Toshiba about radiation protection for the new 160-slice CT scanner. 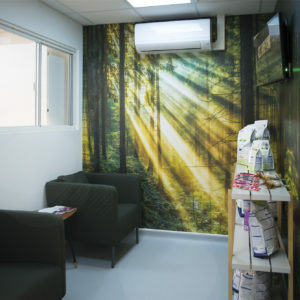 In pre-designing most of the room prior to the decorations, we allowed the room to look both attractive but also be extremely functional. 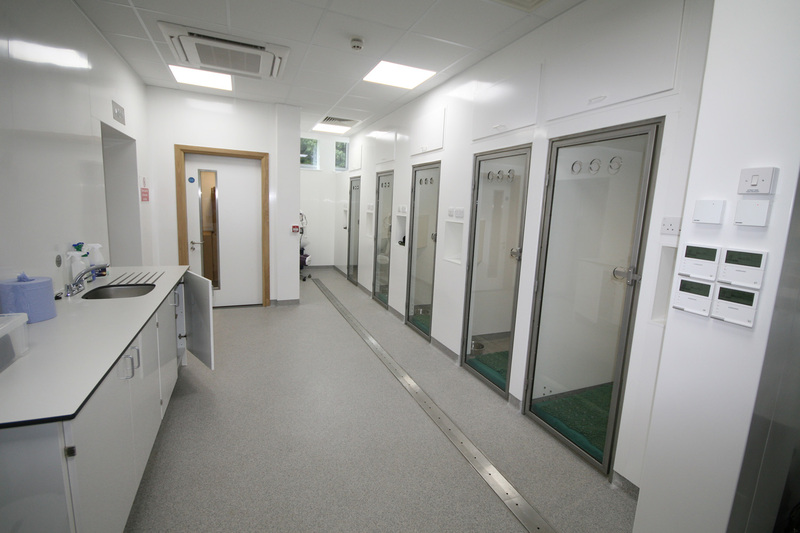 Creating a large separate autoclave and sterilising room straight off the Prep Area allows for the speedy cleaning and sterilising of equipment, ready for the next procedure. 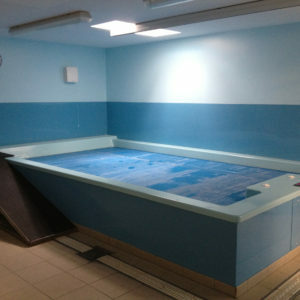 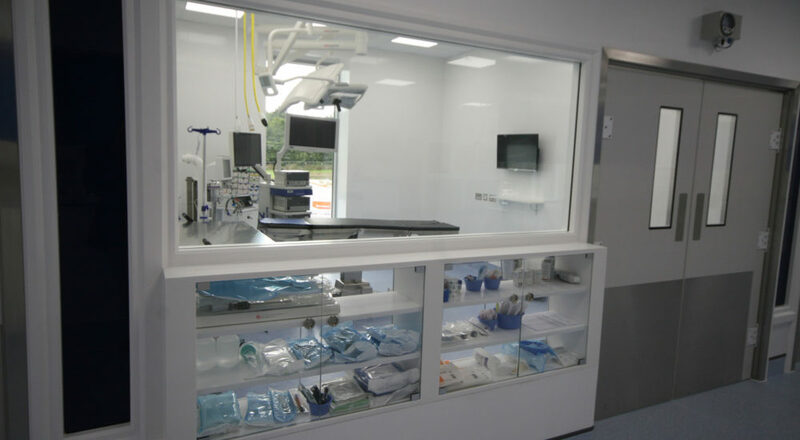 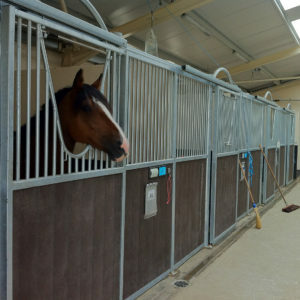 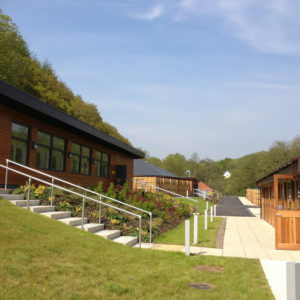 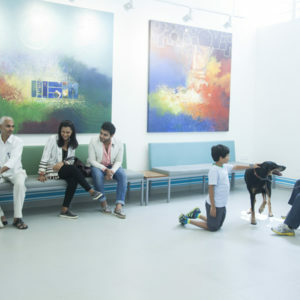 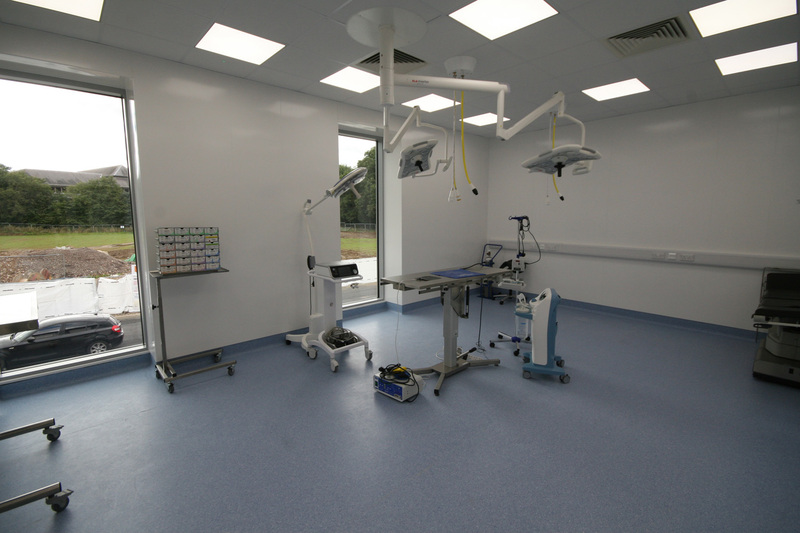 The large open-plan prep area, which houses in excess of eight preparation tables, has all of the facilities needed for the staff to provide the full preparation of animals ready for their operation or X-Ray/Scan. 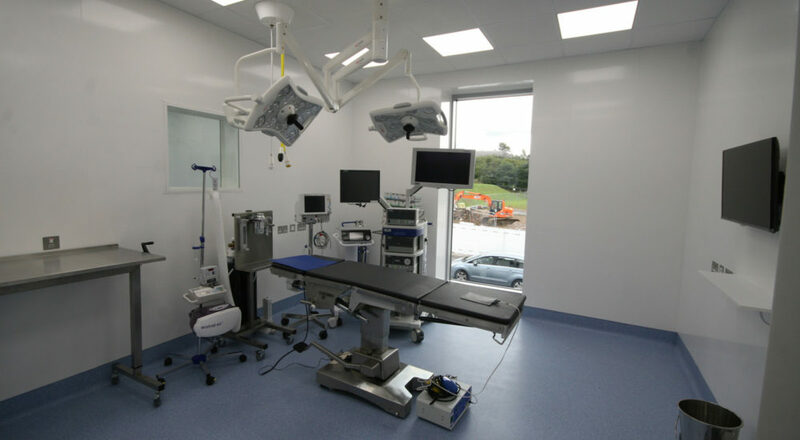 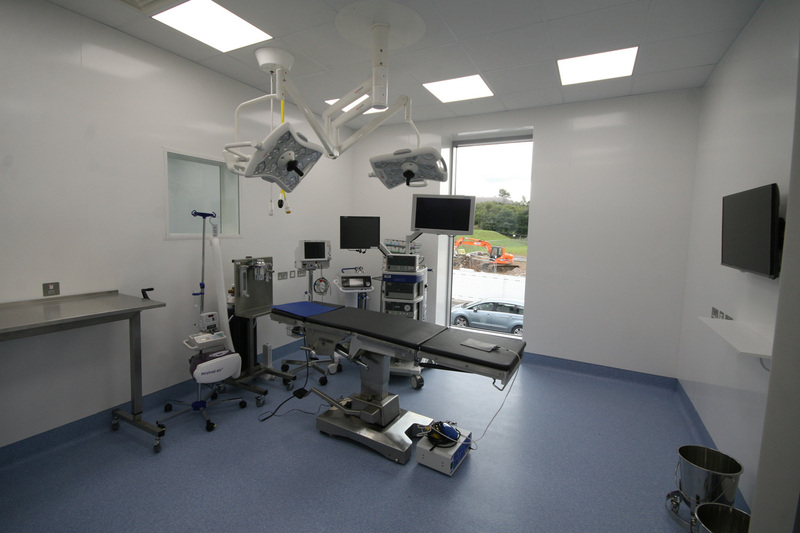 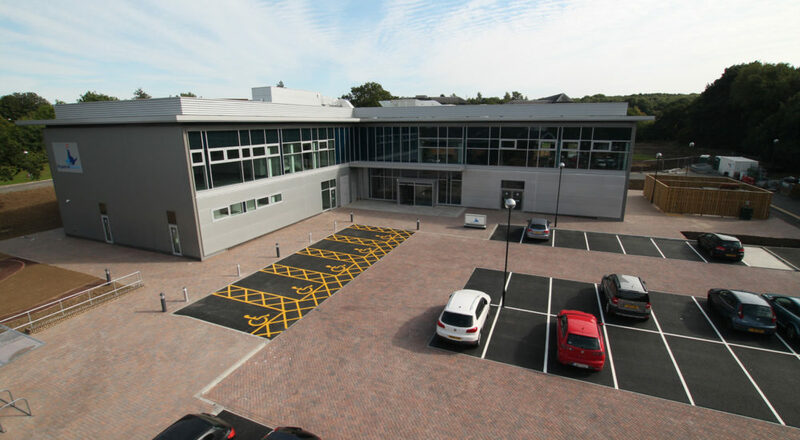 Adjacent to the large prep area are four fully functioning and operational, state-of-the-art operating theatres. 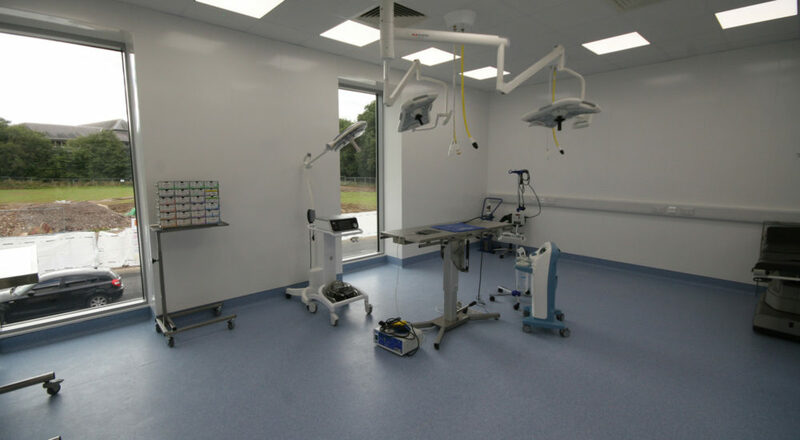 These have been designed and built to the highest standard with anti- bacterial wall coverings, colour-specific LED surgical lights and each room is filled with natural light as well as having the latest in LED ceiling lights. 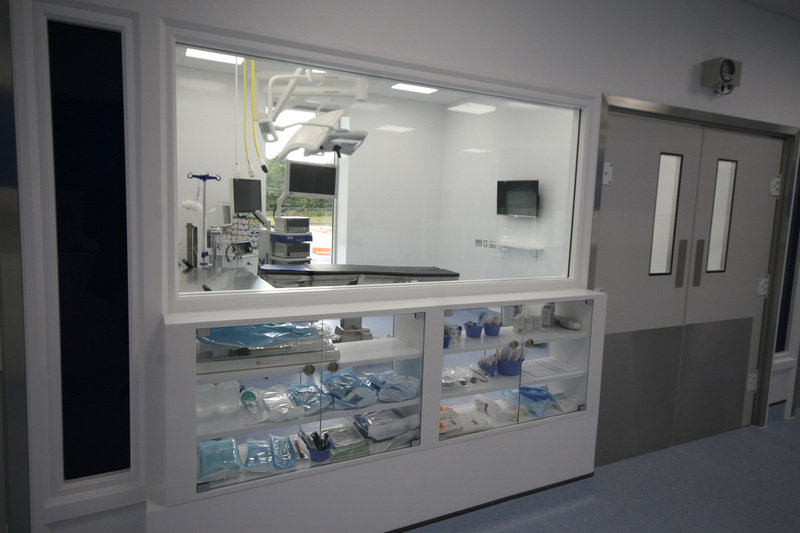 Each theatre has its own bespoke pass-through cabinet allowing easy transfer of equipment from the prep area to the theatre. 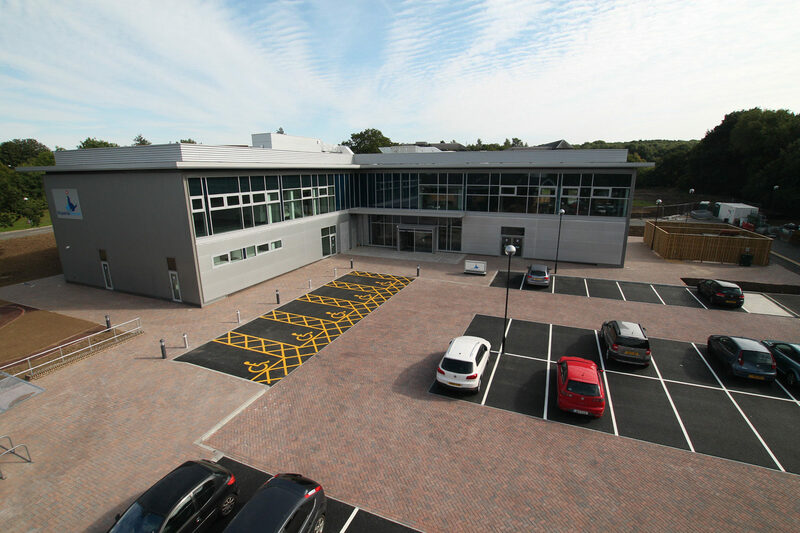 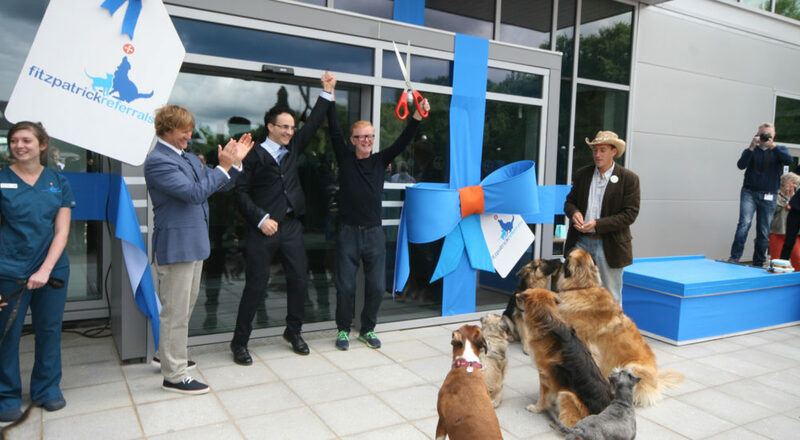 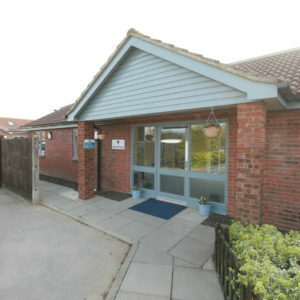 The building was opened on Wednesday, 2nd September 2015 by Professor Noel Fitzpatrick and Chris Evans the BBC presenter. 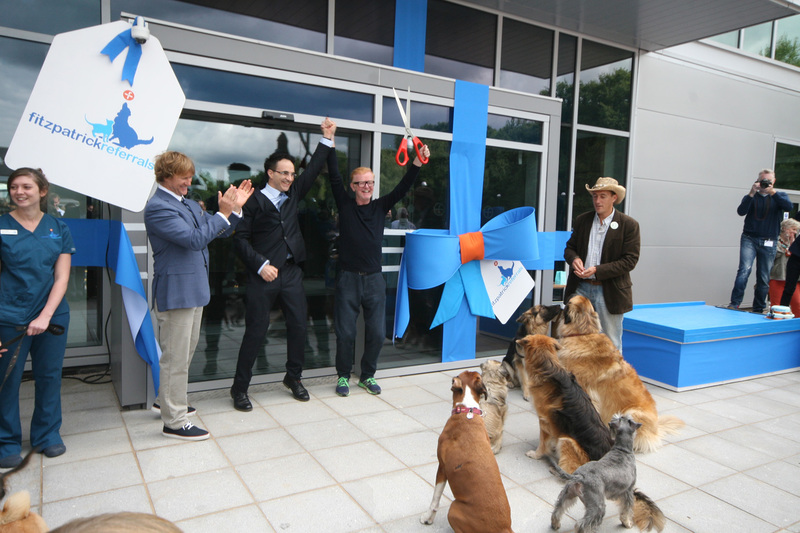 This was an amazing day with Noel Fitzpatrick giving his speech to the many media that attended. 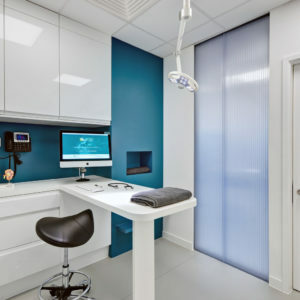 This project also won an award as runner-up in the conversion category of the 2017 BVHA Practice Design Awards. 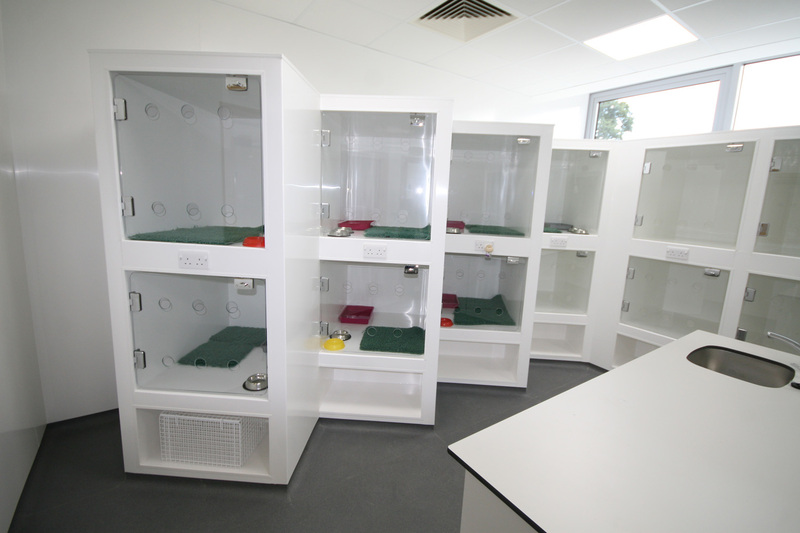 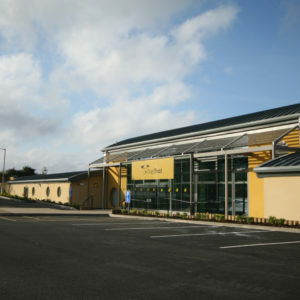 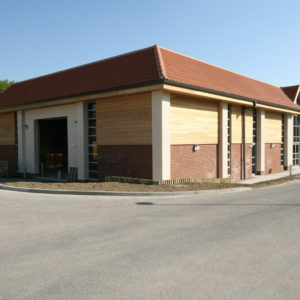 We were delighted to be asked to help Fitzpatrick Referrals with their next project, the ‘FIRST’ centre at Eashing. 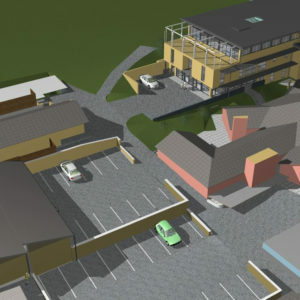 Keep an eye on our website for more information on this exciting project.